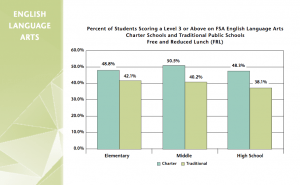 FLORIDA – April 17, 2017 – Charter school students in Florida are achieving academically and, in many cases, surpassing their peers. Using 2015-2016 data, the Florida Department of Education released a report today that compares student performance results. 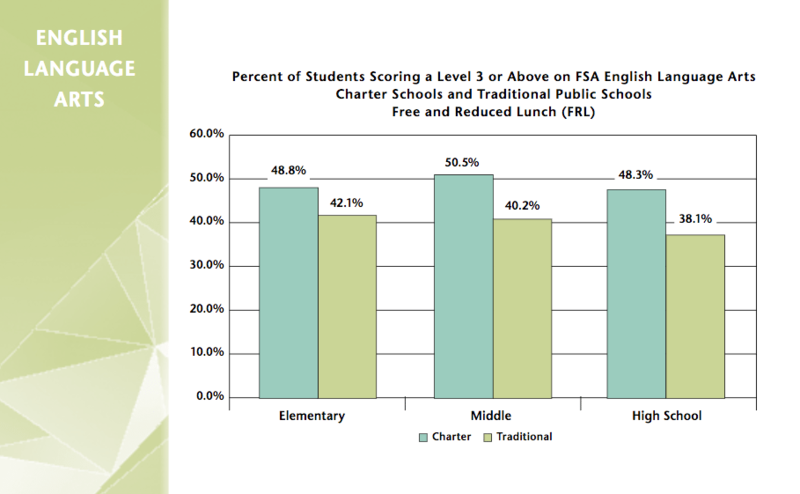 The report – titled Student Achievement in Florida’s Charter Schools: A Comparison of the Performance of Charter School Students with Traditional Public School Students — makes 195 comparisons in three areas: absolute achievement, learning gains and achievement gaps. In 65 of the 77 comparisons, students enrolled in c harter schools demonstrated higher rates of grade level performance (scoring a level three or above on the statewide assessment). The achievement gap section of the report contains data that are used to analyze the learning gap between white students and African-American students, and white student and Hispanic students in English Language Arts, Mathematics, and Science and Social Studies. In 22 separate comparisons, the achievement gap was lower for charter school students in 20 of the comparisons. A higher percentage of charter schools earn A and B ratings. In 2015-16, 55 percent of charters earned As and Bs, compared to 44 percent of public schools. 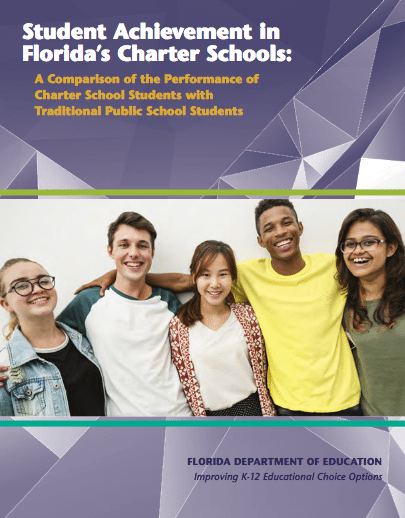 The Florida Department of Education report, required by law to be released annually, is designed to allow a comparative analysis of the academic achievement of students attending charter schools versus students attending district-run public schools. The results of this current report are similar to a report released in 2013 that also showed charter school students making higher gains in various measured areas.